Typically when entering a commercial lease, the tenant pays to the landlord a security deposit to ensure that the tenant complies with the lease and returns the space in the proper condition. Depending on the credit history and specifics of the lease, the commercial lease security deposit can range from one month’s rent to a full year of rent. The lease language describes when and how the deposit is returned. Under MA security deposit law, residential leases are strictly governed and commercial leases are not. A residential landlord is required to hold security deposits in special bank accounts and return deposits within 30 days of a tenant’s departure unless a written statement of damages is sent in strict statutory compliance. Under the residential security deposit law, tenants can claim treble damages and attorneys’ fees if these steps are not followed. 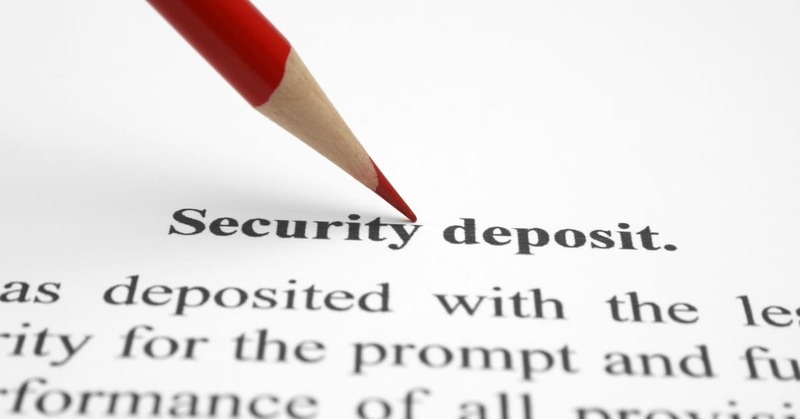 This statute does not apply to commercial security deposits, and return of commercial security deposits are governed primarily by the terms of the lease. Recently, however, the Massachusetts Appeals Court confirmed that a commercial landlord could be liable for treble damages and attorneys’ fees for failing to promptly return a security deposit, despite terms of the lease that prohibited the tenant from collecting punitive or consequential damages. The tenant in The Exhibit Source, Inc. vs. Wells Avenue Business Center, LLC, Mass. App. Ct. No. 17-P-1611 (Nov. 20, 2018) had paid to the landlord a security deposit equal to $15,982 at the start of the lease. The lease allowed the tenant twenty days to cure any nonmonetary defaults, and the landlord had not notified the tenant of any issues. At the end of the lease, the tenant and landlord walked through the space, and the landlord did not alert the tenant of any damages. The tenant repeatedly requested return of the security deposit, and the landlord stated that it was being processed. Seven months later, the landlord returned only $1,202 and claimed that the remaining $14,780 had been applied to remedy damages in the condition of the space and would not be returned. The tenant successfully sued the landlord under Chapter 93A, which prohibits “unfair or deceptive acts or practices in the conduct of any trade or commerce.” The trial court awarded the tenant $44,340 for damages, equal to three times the remaining security deposit, and $60,511 in attorney’s fees. Accordingly, the landlord’s failure to promptly assert claimed damages or return the $14,780 cost over one hundred thousand dollars, plus the landlord’s own attorney’s fees in defending the claims. The Appeals Court affirmed the award, noting that the landlord’s conduct was “comfortably” prohibited under Chapter 93A. Specifically, the landlord strung along the tenant without any intent to return the security deposit, manufactured a reason to retain it, and attempted to wear out the tenant’s attempts to recoup the funds. The language in the lease limiting liability did not protect the landlord in this case. This decision reinforces the principle that parties should understand the terms governing security deposits and lease compliance. Although commercial landlords are not governed strictly like residential, landlords must still understand their obligations to protect from such costly mistakes. If you have questions before, during, or after a lease regarding security deposits or other matters, please contact one of the Real Estate attorneys at Baker, Braverman & Barbadoro, P.C. to get the expert legal advice you need. – Kimberly Kroha.